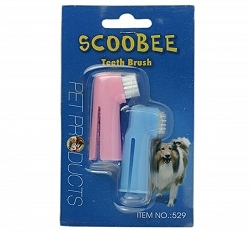 Scoobee is a well known brand when it comes to dog collars, leashes and crates. They are also importer of various dog and bird product as well. They are not only limited to dog collars and leashes. Scoobee are manufactures and importers of bird cages, beds and bowls for your dog. The exhaustive list of products does not end here. There also manufacture dog soap, shampoo and beds for your pooch. Along with this Scoobee also manufacturers fish aquariums. They have around 1500 diverse products in their portfolio at present and plan to increase it soon. Scoobee is an Indian company that is based out of New Delhi and was established in 1951. They boost of network that stretches from Jammu and Kashmir to Kerala within the county and also have a steady supply to the neighboring countries of Kathmandu and Sri Lanka. The organization markets its products across various brands in the market. This includes Scoobee, Achiever, Surya brand and Xing 4. The most popular being Scoobee, they have a large network of self dealers across the country and various stores and exclusive website that help to market and sell these products. Scoobee produces optimal quality products for all its customers. They are not only durable but also provide a value for money. 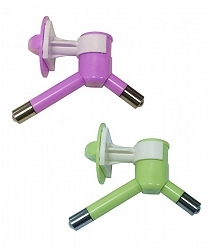 All their products have been manufactured with premium quality raw materials. Their prime concern is to give all customers optimal quality without putting a dent in your pocket. The company also produces dog grooming products like dog nail cutters, dog comb and beds for all canine. These are essentials for all pet owners. Scoobee has been around for about 50 years now and has seen the market space grow by any mounds. Initially the market was extremely niche earlier but it is growing at a remarkable rate. Scoobee is also witnessing a growth and foraying into new products to cater to the needs of the customers. At the moment Scoobee has three different manufacturing units in Narela, Wazirpur Industrial Area and Preet Vihar. It also has two wholesale retail outlets as well in Sadar Bazaar and one at their industrial facility in Wazirpur. Scoobee has forayed into fish aquariums as well along with the regular products. Though there specialization primarily focuses on dog chains, chocker chains, dog crates, dog collars and bird cages.